Marketing it. Sitting down and doing it has never been a problem for me. And with more than a dozen written, I think I can say that with some confidence. Marketing is what came the slowest, but is now something I feel like I have a good handle on. Not doing what I wanted sooner. I can hear the groans and shouts now. Yes, I realize I am only 32. I wrote my first book at 16 and was published by 20 and then gave up because there was no one waiting with a giant check. I traded in novel writing for freelance editing and copy-writing and just waited too long for my liking. Also, I never took piano lessons and I can’t ski. Do you research your novels? It depends on the novel. If there is something specific from a region, I am most definitely looking it up. Is there lore? Then I am there pouring through the pages. I spent a lot of years in academia, so research is not foreign to me. It can be very relaxing. Then again some people find speed metal relaxing, so it’s all relative. How much impact does your childhood have on your writing? 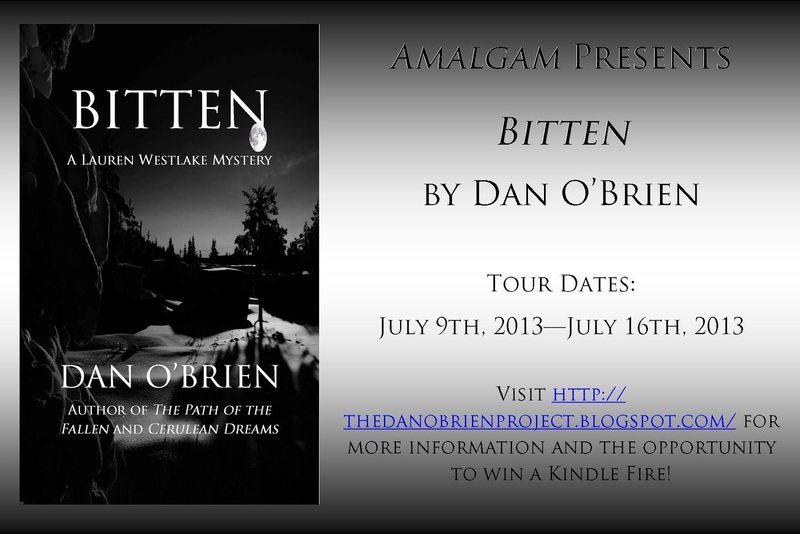 A tremendous amount in terms of why I got into writing in the first place. I loved science fiction and fantasy when I was a kid. I read hundreds and hundreds of books when I was in elementary school. Had I not that voracious appetite for reading, I might have chosen a different profession. The morgue was at the bottom of the only mortuary in the town of Locke. Agent Westlake, Montgomery, and the youthful deputy made their way through the building’s darkened interior, into the bowels of a cold stone structure that could withstand the end of the world. Agent Westlake led the crowd, looking over the walls of silver doors that encased empty chambers where the departed slept in a kind of purgatory before finding a home in the earth or the hearth, as they such desired. Montgomery and the deputy hovered near the table where a white sheet covered the bumpy, uneven terrain of a body. Montgomery crossed his arms and the deputy scratched his head. 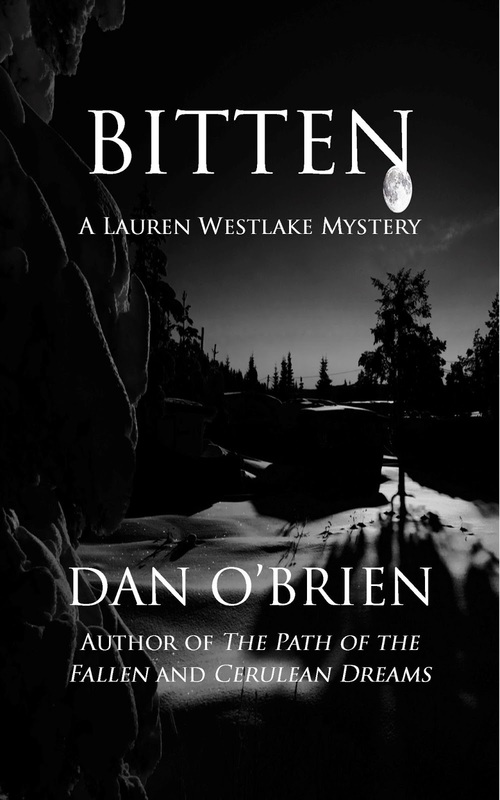 Westlake lingered over the body as the sheet revealed what might have once been a woman. The dark hair was pulled back and laid down beside her pale skin like wet carpet. The make-up was reduced to heavy indentions in the skin from prolonged use. Her breasts remained a testament to their creation and construction by the hands of man. Lines along her stomach announced more cosmetic alterations. Lauren reached out and touched the pink wound; deep lacerations carved her chest cavity. Lauren smiled at the woman, chagrinned. Dominic McManus walked through the old farmhouse filled with barren walls and aged paintings. There was an unsophisticated smell, a sense of the rustic enhanced by the wilderness. Wood planks beneath his feet alternated in sound, creating a symphony of rhythm. The afternoon sun hid behind the gray cloud cover, creating a lining of beer-colored halos that shielded the world from luminance. The woods were silent, tall pines and evergreens sentinels against the night that would come and the day that followed. Dark, surreal paintings were littered about the simple walls depicting creatures roaming the night, dancing a ritual beneath the moon. The living room was home to one wide, strangled rug in desperate need of cleaning. Triangles and lines of muted light cascaded onto the antediluvian home. He walked the house: his home. Bare feet touching the ground, he moved with a grace unbecoming for a man of his considerable size. Nearly six feet, his wide shoulders were marked with long, thin scars of memories past. His chest was a mat of tight black hair that made an artistic triangle. Sweat dripped down off of him, following the contours of his strong shoulders and slender waist. His shirt was draped over one of two uncomfortable-looking beige chairs that looked as if they had been left in the rain for a century. His dark hair touched his shoulders, unrestrained. A Labrador––the sleek color of night––bounded into the room. He knelt, running his hands across the side of the dog in broad strokes. “Good girl,” he whispered, allowing the dog to nuzzle his lightly bearded face. She was his sole companion by choice. Standing again, he walked to the single oak table at the center of the room, grabbing his shirt as he walked by. He pulled it over his shoulders and sat into one of the odd-looking chairs that surrounded the table, reaching down again to attend to his friend. The house was a silent reminder of a past forgotten. He had come to Locke for simple reasons: a life unfinished. There were ghosts of the past haunting the land. That haunted him still. Each night was a journey, a remembrance. His kitchen was clean; no dishes in the sink. There were none of the usual signs of a bachelor. Bowls of fresh fruit, some spilled out past the rims covered the counter. There was no refrigerator, no stove. A heavy, off-white freezer lay on its side, humming softly. There was a heavy wood stove, a cast-iron pot setting atop the warm, burning embers inside. A thin string with a white packet hung from it: tea. Moving out into the back porch, a mesh enclosure with a single chair that overlooked the backyard and the surrounding property, he contemplated the world around him. There was a rifle on the ground just beside the chair and a wastebasket with torn off days of a calendar. Each had a circled day; every marking was a shrouded secret. He stood looking out upon the wilderness, knowing its mysteries. The murders had already spread through town. The word was panic. He knew more than he could possibly tell them. 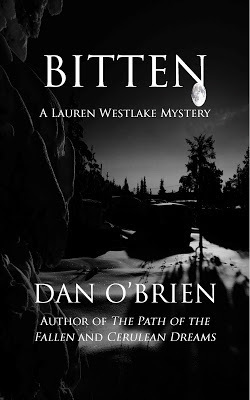 Lauren Westlake: her name intrigued him. Born to the west of a great lake, her ancestors must have been hunters or river folk. There had been something intoxicating about her. He walked her home, made sure she made it through the night. The whistle of the iron kettle made him turn. He stalked back into the house. The heavy muscles of his arms flexed. Veins formed an interspersed roadmap down his bicep and into his forearm as he lifted the kettle free. The tea was poured. He carried the simple mug with him as he returned to the porch, looking out upon the still woods. He knew that they would not be still that night. Things would get much worse. But what could he do? What could be said that would not cast doubt upon his guise? He had come for a reason, for a purpose. That is what had to remain most important. He would have to be vigilant. Lauren smoothed out the map on the wall behind the sheriff’s desk. It was littered with light blue lines and no script save for some cardinal directions. The deputy leaned against the long counter of the station. The sheriff sat back in his in chair, arms laced behind his head. “You think there is a pattern to the attacks? I thought we needed three points to make a line. We ain’t got but two yet,” spoke the deputy as he took a drink of the stale, tasteless coffee. “You think there is going to be another murder, Agent Westlake?” said the sheriff, emotionless. “You think it is the same person?” queried the sheriff, his monotone voice skeptical. “That’s a lot of woods, Agent Westlake,” whined the deputy. She did not bother to turn around. Montgomery chastised him with a reproachful glare. The sheriff looked at her with a crooked grin. “I would hardly call you hysterical, Agent Westlake,” he spoke with a slight ruffle. He stretched out his legs as he did so. Lifting the mug beside him, he grinned. She thought to argue the point, ask for separate cars, one for each of them to better scout the area. Nodding with a tight smile, she motioned with her hand that she would follow. As they exited the station out into the cold open air of Locke, she realized the day had already begun to shrink away from the coming night. The feeling deep in her gut told her that the night would be a long one.